The power, the finesse and the sheer intellectual engagement that stamp top-quality red Burgundy wines were amply displayed in youthful, sharply contrasting examples I recently tasted from two producers in the famed Côte d’Or, Domaine Gille and Domaine René Leclerc. The Côte d’Or, or “golden slope,” is the Burgundian heartland, a series of villages stretching some 30 miles from Chassagne-Montrachet at the south end to Gevrey-Chambertin in the north. Although many excellent reds are made in the Côte d’Or’s lower half, called the Côte de Beaune, that region is better known for its great white wines. It’s in the upper Côte d’Or, known as the Côte de Nuits, that red wine rules. Just as virtually all white Burgundy is made from Chardonnay, the reds are strictly Pinot Noir. The varying flavor profiles among Burgundy reds is a point of never-ending fascination. Those differences are largely attributable to the complex factors of “terroir” – soil make-up, each vineyard’s orientation to the sun, plot-to-plot variations in weather conditions such as wind and rain (referred to as micro-climates). 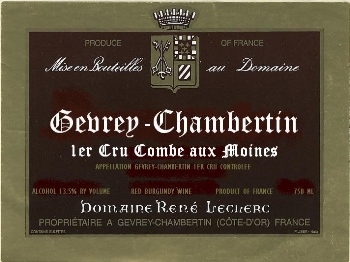 Leclerc’s 2012 Gevrey-Chambertin Combe aux Moines ($85) offers an impressive glimpse into the muscle, concentration and depth characteristic of wines from this northernmost village of the Côte de Nuits. Combe aux Moines is also a fine example of premier cru, the mid-level Burgundy classification, a step up from village wines and a notch below the exalted grand cru class. The 2012 Leclerc Combe aux Moines is dark in hue, perhaps more suggestive of a Cabernet Sauvignon-based wine from Bordeaux than, say, a classic Pinot Noir from Oregon. On the palate, this robust Burgundy offers intense dark cherry and black plum flavors with hints of coffee in the background. Ripe tannins complement the generous fruit, and the finish goes on for a while. Certainly enjoyable now, Leclerc’s 2012 Combe aux Moines has serious cellaring potential. Here’s an instance where I’d drink one just to savor (and share) the beauty I’d bought, then put the rest at the back of the cellar to be revisited in 10 years. 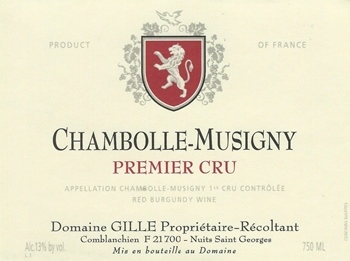 The remarkable, sometimes quite disarming, stylistic range to be found in Burgundy’s Pinot Noir is well illustrated by the short distance from Gevrey-Chambertin south to Chambolle-Musginy and the great divide between Leclerc’s Combe aux Moines and the elegant, perfumed 2012 Chambolle-Musigny Premier Cru from Domaine Gille ($85). Typically, the designation “premier cru” would be preceded by the name of a specific classified vineyard. But it’s also applicable to wines made from grapes assembled from several duly classified vineyards: in this instance, all from within the commune of Chambolle-Musigny. Gille’s 2012 is a lovely wine whose — shall we say, collective — pedigree shows. Here’s a graceful, medium-bodied expression of red Burgundy with focused cherry and strawberry flavors accentuated by tannins. Not incidentally, this Chambolle-Musigny’s distinctive acid frame at once helps to delineate layers of flavor and lends the wine a winning zest.